It’s hard to believe that year-end is quickly approaching. For many professionals in the construction industry, now is the time to look ahead to projects in 2019 and beyond. With that in mind, it’s imperative to have a dependable construction management partner by your side. 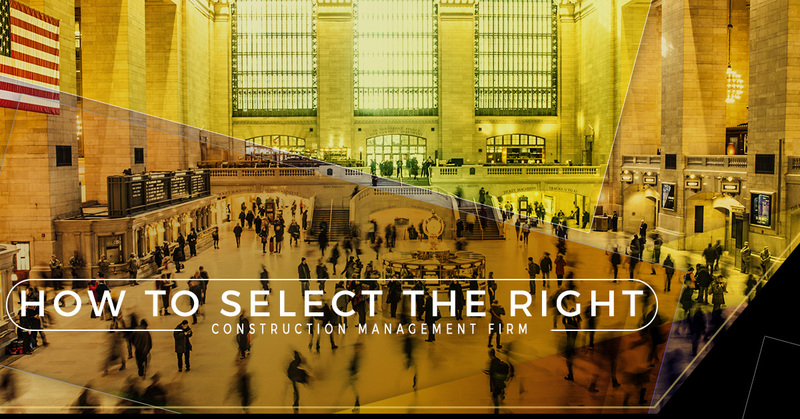 Looking for an NYC Construction Management Firm? Call Now! In this industry, few things are more important than experience. But is it really the best idea to hire an individual as opposed to a team? The fact is that choosing a person with limited or no support staff could prove costly. Our advice? Eliminate the “what if” mindset and go with a qualified firm instead. No major construction project should ever be managed by one person. Let’s say that you’re in the beginning stages of constructing a retail space. It goes without saying that the project manager you hire should have experience designing and building a similar type of project. Each project, regardless of type or scope, has its own unique requirement and issues. Some construction management companies won’t even give their vendors the time of day. Here’s the thing: The firm you hire should go above and beyond to assemble the best team possible for your project. If you see full cooperation from each team member, then there’s probably a greater chance of getting the most bang for your buck. It’s one thing to hear what a project manager has to say about their own firm. It’s another, though, to gauge the experiences of past and current clients. Before making a final decision, do yourself (and your company) a favor and do some independent research. Start by exploring the firm’s website, double-checking that the information aligns with what they’ve already told you. From there, move on to client testimonials. If you notice a trend of negative reviews, eliminate that project manager from your list of candidates. This is a big one. As part of your search process, you’ll probably obtain bids from several local construction management firms. Sure, you could select the firm that offers the cheapest bid. 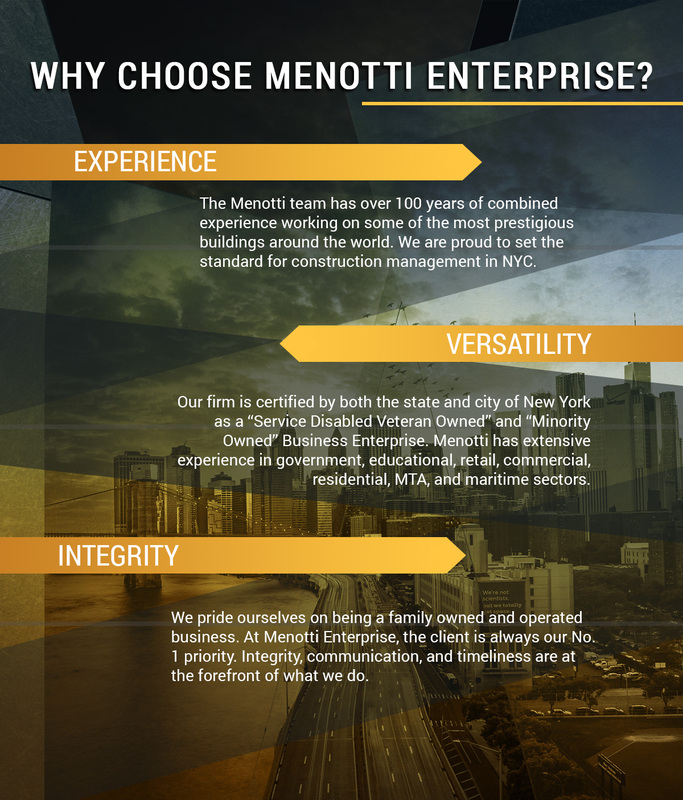 At Menotti Enterprise, we advise against choosing a firm based on cost alone. Think about it — a low cost likely translates to low-quality work and overall results. The last thing you want to do is pay twice to have a project completed. Menotti Enterprise takes the hassle out of finding dependable construction management professionals in NYC. From risk management and construction management to OSHA training and engineering, Menotti has you covered. Call now to get started on your next project.